EKATERINBURG, Russian Federation - Oct. 15, 2018 - PRLog -- The study of the molecular composition of the interstellar medium and the areas of formation of stars and planets by the scientist of Ural Federal University is becoming increasingly recognized both in Russia and abroad. In the near future, it is planned to sign an agreement between UrFU and the Max Planck Society on the creation of a partner research group based on the laboratory of astrochemistry and extraterrestrial physics of the department of astronomy, geodesy, ecology and environmental monitoring. 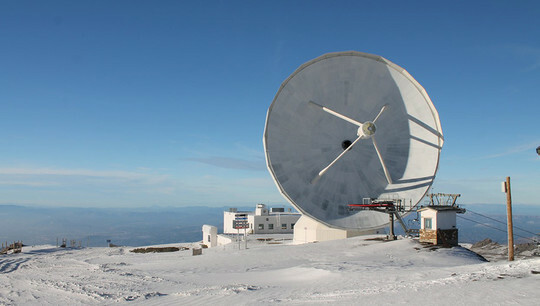 The status of a partner group of a prestigious German scientific organization, which the laboratory will receive, will provide priority access to the world's leading telescopes, such as IRAM 30m, NOEMA, ALMA, etc. The Laboratory of Astrochemistry and Extraterrestrial Physics of Ural Federal University was created on August 1, 2018 as a result of the development of a new scientific field at the university - theoretical studies of the evolution of the interstellar medium molecular composition and the areas of stars and planets formation. Research conducted in the laboratory of astrochemistry and extraterrestrial physics in cooperation with leading Russian and foreign scientists has already received national and international recognition. Thus, in the spring of this year, the research group under the leadership of Anton Vasiunin "Mechanisms of organic matter formation in protostar objects" won a grant of the Russian Science Foundation. The grant amount is 18 million rubles for three years. In addition, this summer, the research program on the physics and chemistry of the interstellar medium at the Ventspils Radio Astronomy Center (Latvia) received the support of the Latvian Scientific Council, whose supervisor is also Anton Vasiunin. According to him, the conclusion of a partnership agreement between UrFU and Ventspils University College will be signed in the near future.